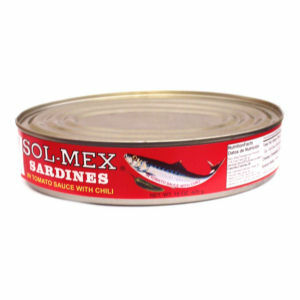 Our "full oval" Sol-Mex hot sardines contain the best available sardines fished throughout the world. Sol-Mex sardines are packed with great care in a rich, thick tomato sauce and plenty of chili for maximum taste and satisfaction! Our hot sardines are typically displayed with our regular flavor "full oval" Sol-Mex sardines, providing a very tasty choice for all sardine lovers.